Chips For The Poor have been showing TheLeftHandSide a lot of love recently, so we wanted to do the same back. This single “Fistula” came out a few months back, but we are still loving it, so have a gander and check out their website for more info! “Rockrap was originally released as a CD for sale exclusively on the mammoth “Free The Bees Tour” in 2005, where we were blessed to share the stage every night with The (mighty) Bees and the legendary Little Barrie. 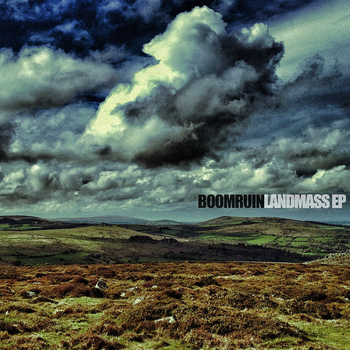 Boomruin, as featured on this blog in the past, has released his new ep “Landmass”. Again he comes with moody, atmospheric beats, I would say the ep has more of an electronic sound to his debut album, which is no bad thing. Sorry to keep this short and sweet, but I’m pushed for time and wanted to give this a mention. Marathon Of Dope may not be well-known to some, but you will certainly have heard of some of the artists that feature on their new label sampler. I first heard about MOF through a Mike Ladd related release and then Infinite Lives put some tracks out through them too, a great start I’m sure you’d agree. Here is a new label sampler for winter 2012, featuring label artists such as Speed Dial 7, Pip Skid and Zucchini Drive alongside more established left-field hip hoppers such as Anti-Pops M Sayyid, Rob Sonic, Cadence Weapon and more. And to make it even sweeter, it’s all free! Get on it people. Awkward has been a well-known figure on the Bristol hip hop scene for a long time now, he produces, rhymes, DJ’s, is a graf writter…the full b-boy. More recently he has been making moves with LA label and crew, Machina Muerte . The label boasts an impressive list of affiliates, including the likes of Gonjasufi, Mr Dibbs, Awol One, D-Styles and many others. In 2011, Awkwards debut Machina Muerta release, “Un-Follow Leaders” , saw his production evolving, influences from the LA beat scene can be heard, yet all with his own unique style. Creating futuristic sounds firmly grounded in hip hop but taking influence from many different people and places. This leads us to his new single, “Rocks The House” featuring Machina Muerte artists, Zackey Funk Force. Up for free download on soundcloud, the single is a little taster as we gear up for the release of the new album “The Metal At The Core” in 2013. 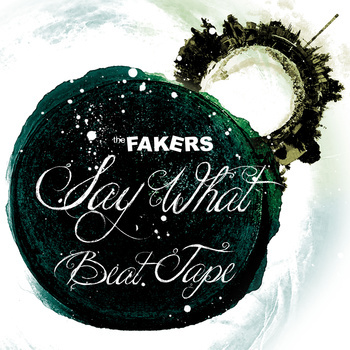 If you like your beats hard, full phat and funky, you need to check out The Fakers. Not much, well pretty much nothing, is known about The Fakers, but their new beat tape, “Say What” is killing it right now. 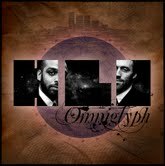 Really nice golden era sounding, without being nostalgic, quality hip hop is on offer here. Forget keeping it real, keep it FAKE! All you vinyl freaks pay attention! 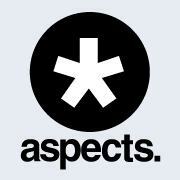 A brand new label, Demand Vinyl will be launching on Jan 1st 2013, releasing signed artists music along side one-off singles, soundtracks, re-issues and so on. Kicking them off nicely will be the Singles Club. This will be a set of 10 7″ singles that you subscribe to, the first 4 will be sent straight away, then the follow six will be released one a month for the next six months. All will have deluxe, special packaging and there will be no re-presses. Contributing artists include Memory Tapes, Hot Chip, Air France, St Etienne, Laetitia Sadier, Mlki & The Dove, Levek, Moons, Holy Strays, Dreamtrakand more. Each single will have a track from a more established artist, along with one from a new act. The songs will be exclusiveto the Singles Club and will include originals, one-off collaborations and covers. These sets are limited to 500 copies and priced at £55 inc p+p (a little more for delivery outside the UK). There will be no more made, so be quick. Surprise gifts will also be included in the sets.Each single will be accompanied by a subscriber-only explanation from the artist of the ideas and story behind the song, some with a mixtape, video or a short video podcast from the artist. Get involved – THE SINGLES CLUB is saving one of the slots for a brand new band. We are asking for demos as of now . Entrants will be narrowed down by our A&R Team and a list of finalists will be published in the New Year. A winner will be picked by Rob Da Bank(Radio1/Bestival/SundayBest) and the prize package will include all Ten Singles, a day in the 4AD studio to record a tune and then including that tune on the tenth and final Singles Club single. The competition closes. as the year closes, at midnight on New Year’s Eve 2012. Yes yes, for those of you that don’t know by now, the mighty Aspects crew are back with a brand new album ready to drop in the near future! 3 tracks have been snuck out via their soundcloud page, “Beat Tape” produced by DJ Format, “Yes Please” produced by Akira Kiteshi and the most recent being “Trouble In Town” produced by Memotone; all 3 sounding very different but equally great, showing the diversity of their new material. If you’re quick you still may be able to grab them for free download. I for one can’t wait to hear the new LP, and having caught their come back gig in Bristol a few months back, I’m looking forward to them rocking London soon, I hope! To get you in the mood, the Aspecticons have re-issued their debut album, “Correct English” for the first time on digital format, and now including the title track (which wasn’t on the original album) featuring Taskforce. So go grab that now and keep your eyes peeled for more movements on the new album. Top choice! The critically acclaimed and world’s first documentary film about beat diggin and Hiphop music production is now available to buy on DVD for the first time. Filmed in New York in 1997 it shows top producers Showbiz, Diamond D, Mr. Walt, Evil D, Godfather Don and more hard at work looking for obscure samples in record shops, creating new songs in the studio and talking shop. Since its release in 1998 the film has achieved somewhat of a cult following, and having only been shown at festivals and on public TV it has long created a strong demand for a commercial release. The independent UK label CRATE ESCAPE RECORDS – responsible for unique releases by Kurious and Soundsci among others – has now stepped up and released a limited DVD run of the film. The DVD package includes both the original 1998 version and a longer 2003 re-edit (also featuring Buckwild and Beatminerz’ Baby Paul) plus no less than 2 bonus films: ‘BEATS, RHYMES & VIDEOTAPE’ featuring legends Masta Ace, Gang Starr, Edo G, Artifacts, Pharcyde and more in their prime dropping timeless jewels about Hiphop, and ‘WHO’S NEXT?’ showing early 2000s up-and-comers Juggaknots, Rise, Ge-ology, Sub-Con, J-Live and more keeping the vibrant Hiphop tradition alive. A must for all beat diggers and hip hop fans. Check out the trailer and then order the DVD!